Stocks Dumped as Loan Rate Mounts, Sending Wide List Down. Bond Sales Also Biggest for 1929, With Many Declines. Then the next speaker did the same damn thing! He showed a 100-year chart of the Dow. 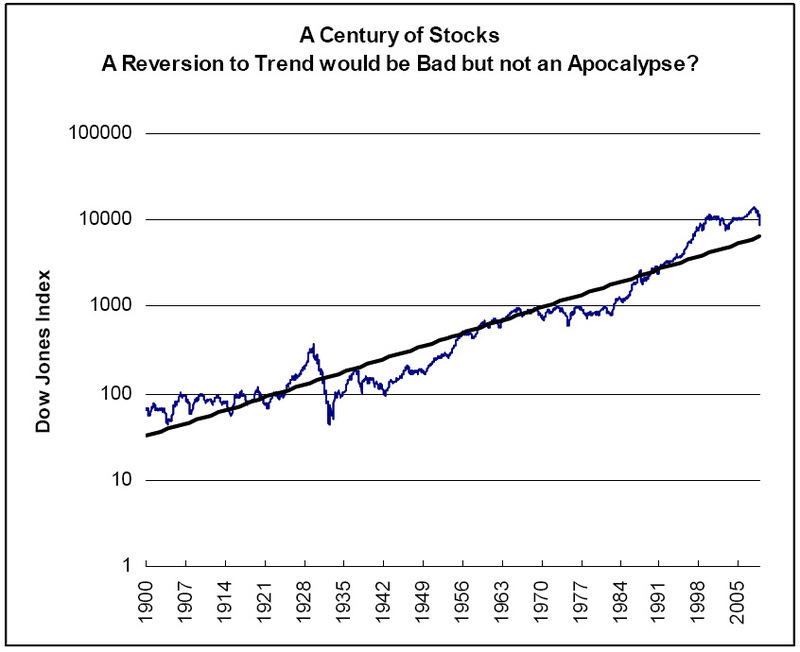 If you look at the chart below you might draw the inference that the last 15 years have been a crazy run-up for stocks and a reversion to the long-term trend would be catastrophic. 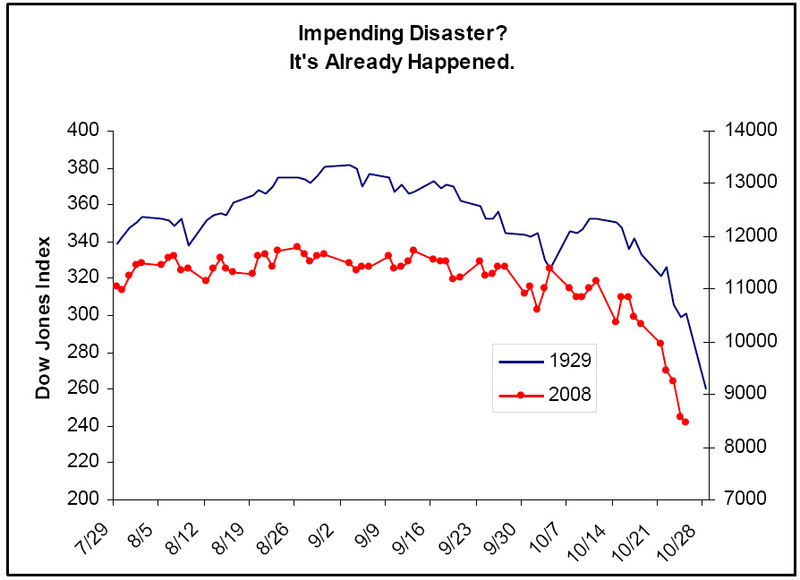 Stocks look far less overvalued in this chart and the crash of 1929, which is invisible in the upper chart, is shown in it’s proper context vs. today. 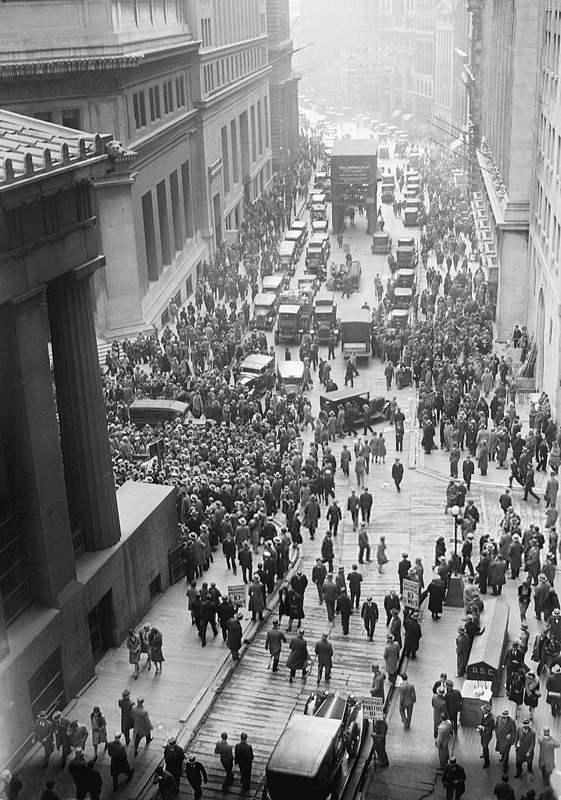 As of today, the ’29 crash looks far more cataclysmic. 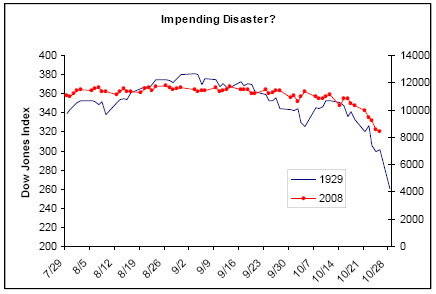 This chart is scary enough, though. A reversion to trend would take to Dow to 7000. 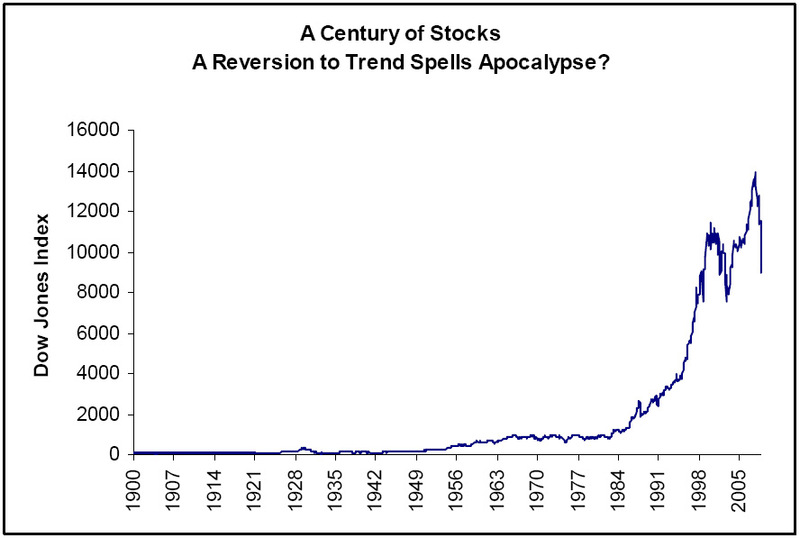 This is a post about chart lies, not stock prognostication, though. Why would anybody show the linear-scale chart? Turning on a log scale is a a one-click operation in Excel. Is it too exotic? The audience was financial professionals. It’s just inexplicable. I am a fan of good data visualization and you should be too. BTW, It won’t surprise you to learn there is a cult of data graphic geeks out there. Their guru is another Yale professor, Edward Tufte. Their arguments about the nuances of bar charts can resemble religious doctrinal disputes.